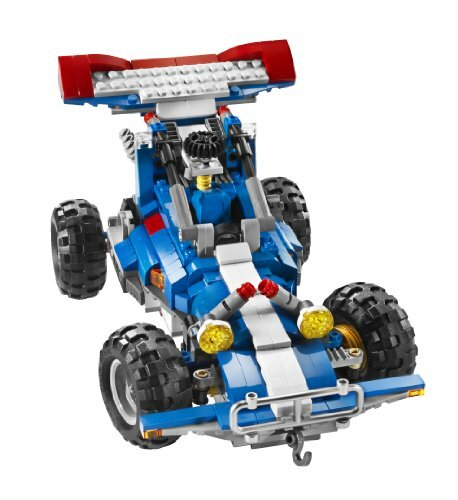 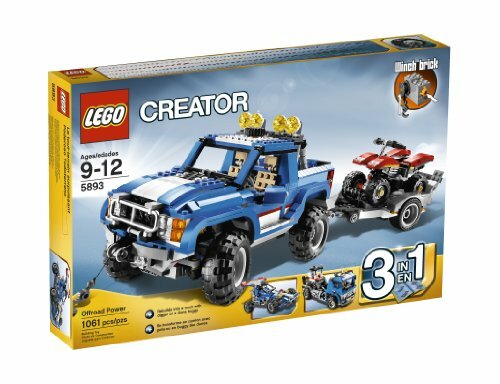 Create 3 tough off-road vehicles from 1 model! 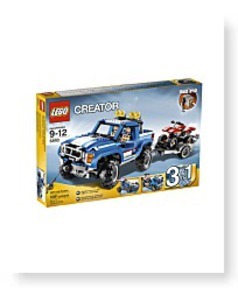 Offroader features working steering, suspension and self-winding winchBuilding instructions for all 3 models includedOffroader measures 10"(25cm) longQuad bike measures 4"(10cm) long Open the offroader's engine, doors and tailgate! 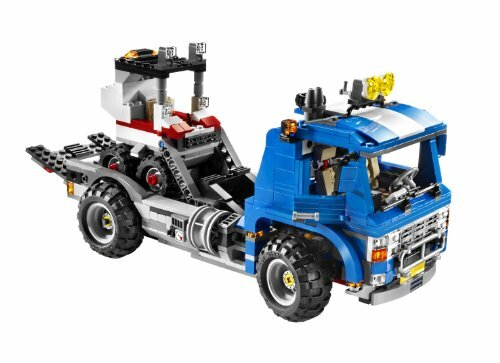 Then, transform the offroader by rebuilding it into a truck with digger or a dune buggy. 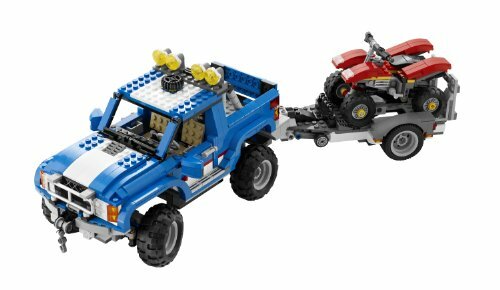 Control the working steering and suspension, pull yourself out of trouble with every single of the self-winding winch or hop on the quad bike to traverse the roughest terrain. 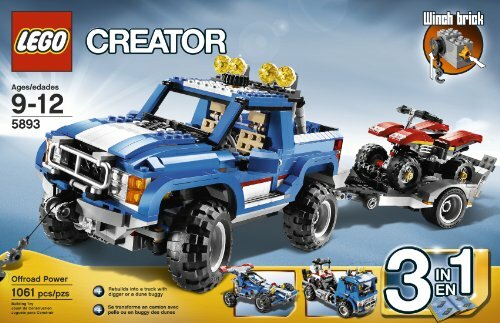 Build this awesome offroader and be ready to overcome any obstacle!